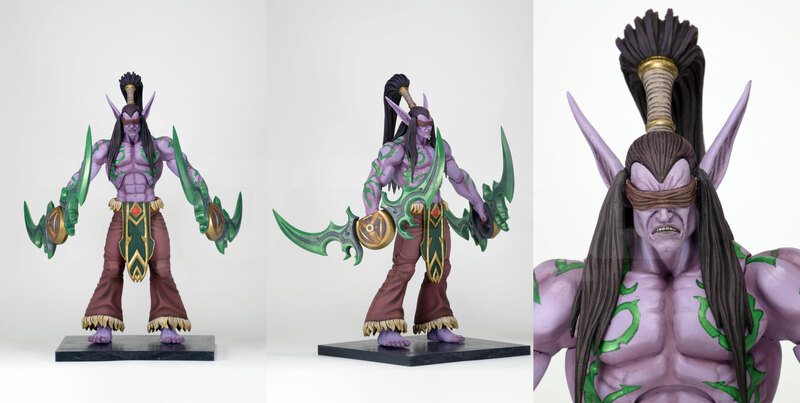 At Toy Fair 2017, we got our first look at the fully painted version of the upcoming Heroes of the Storm – Thrall 7″ Scale Deluxe Figure. We now have official photos and details direct from NECA. 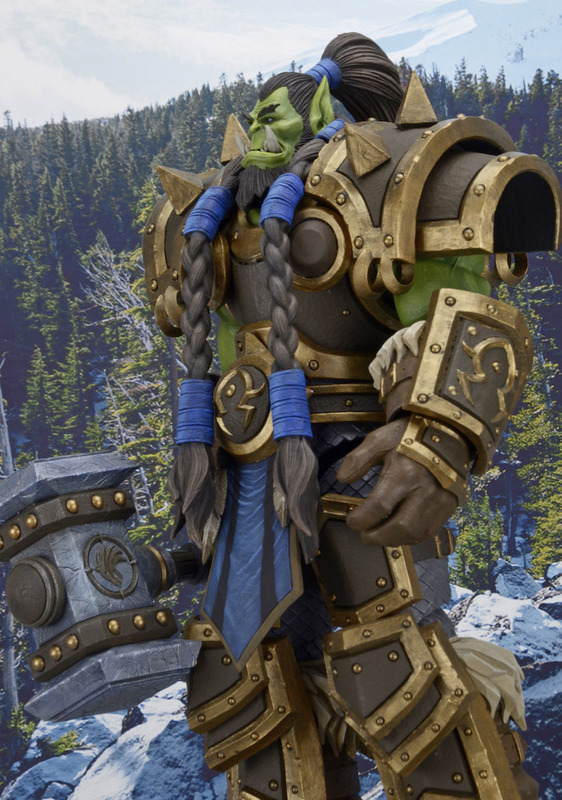 NECA is proud to present the Thrall action figure from Heroes of the Storm™, the online team brawler filled with favorite characters from Blizzard Entertainment’s vast video game universes! 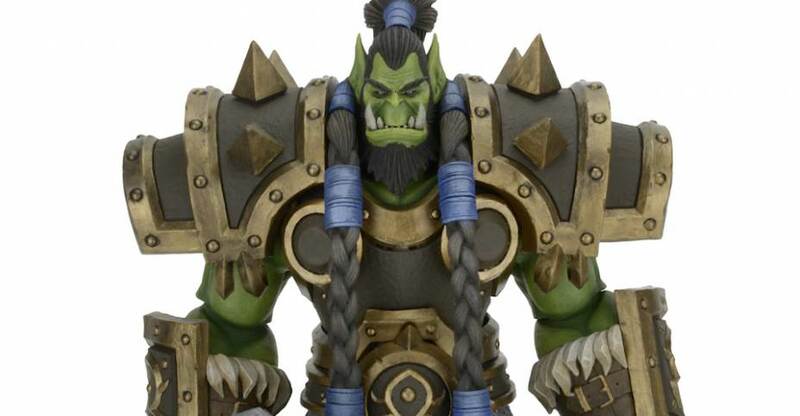 Created in collaboration with Blizzard, orc leader Thrall (World of Warcraft™) features a game-authentic sculpt with extra-detailed armor and 25+ points of articulation. 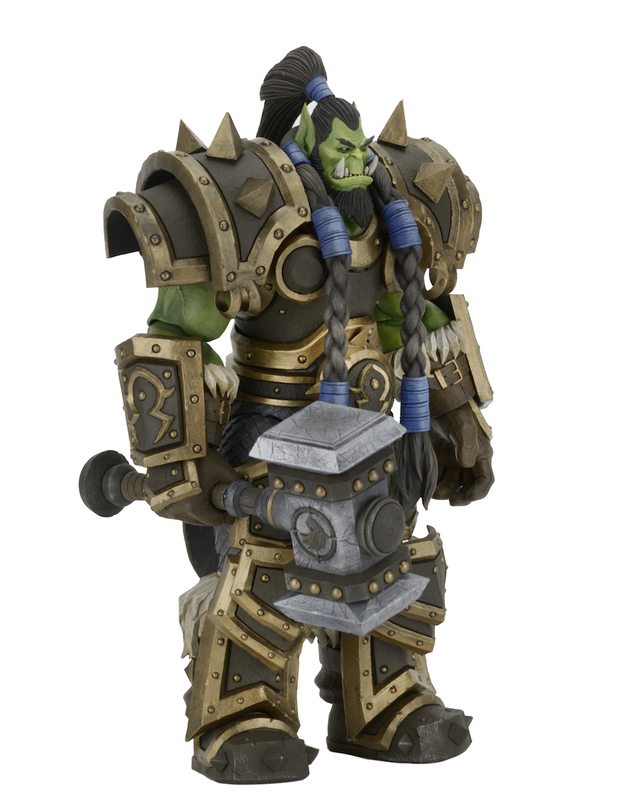 The Warchief of the Horde is 6.5” tall and appropriately meaty, and comes with a hammer accessory. 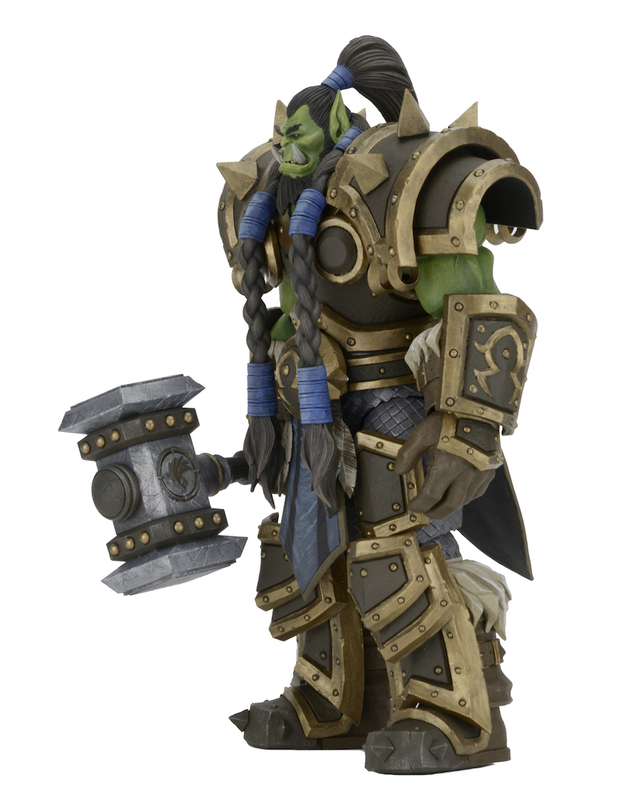 Look for the Thrall Figure to be released in June. Read on for more photos. I don't play any Blizzard games, I used to play Diablo II and Starcraft a long time ago, but nothing anymore. That being said I think a Lich King from the Warcraft series would be pretty damn neat, if he's even on the table, I don't know how many characters Blizzard chose to incorporate into this game. Having a Zerg and Protoss would be neat too. 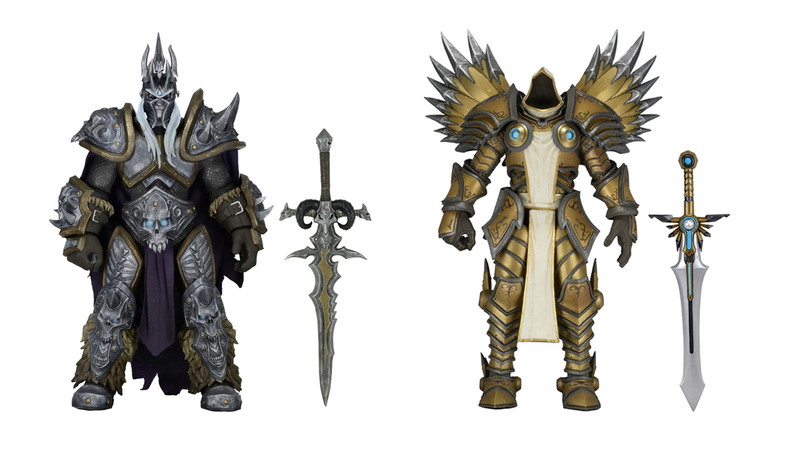 The Lich King was in that preview picture they had posted on Twitter, so he's definitely in the works. Those are some fantastic sculpts. Even if I wasn't a fan of Blizzard properties, I'd go right for that Nova figure. Definitely getting Arthas, as well. Jaina, Murky, Tyrande, MURADIN BRONZEBEARD. All musts! This is very exciting news. I'm waiting/hoping for Kerrigan and Tassadar from Starcraft. tyreal doesn't even have his wings. terrible. 1: These pictures probably aren't final. 2: His wings would be tough to pull off since they're flowing light ribbon things, on a toy they'd be an almost guaranteed QC issue. 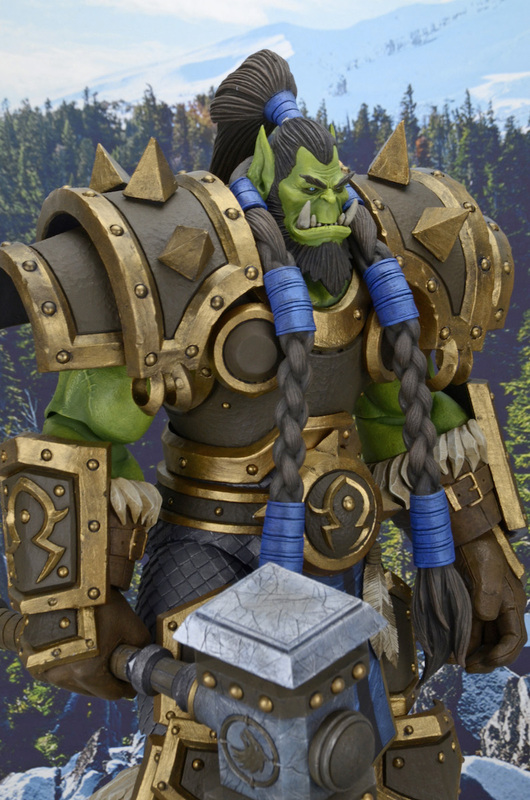 That's a fine looking Thrall, I just hope there is some movement in those shoulder pads or posing him is going to be severely restricted. 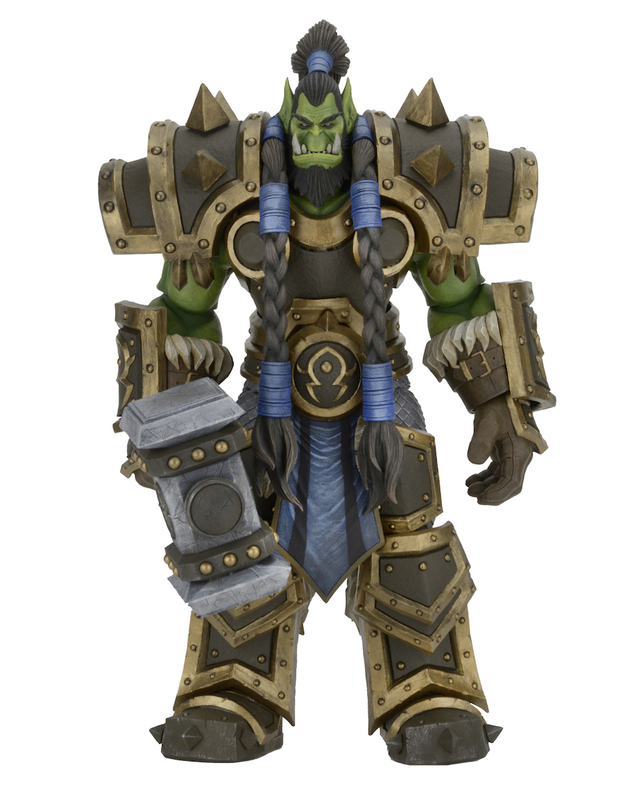 Yeah, kind of prefer the Shaman Thrall to the dorky-looking old school version. Hopefully, that one gets released later. 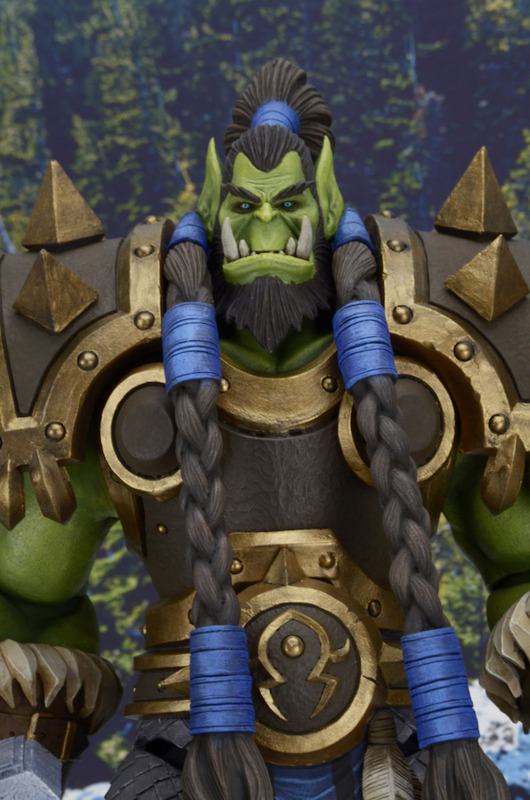 Blizzard has total control over character selection from NECA though. 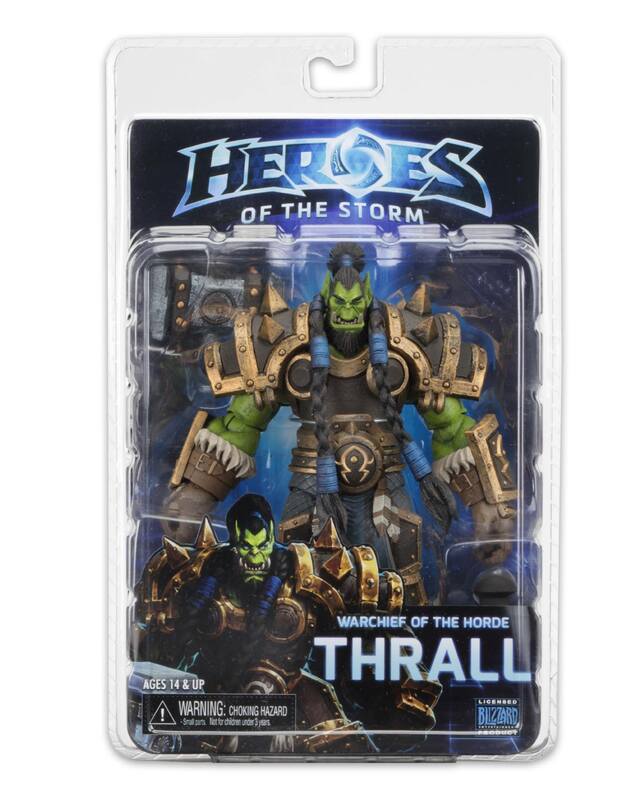 This Thrall is cool. 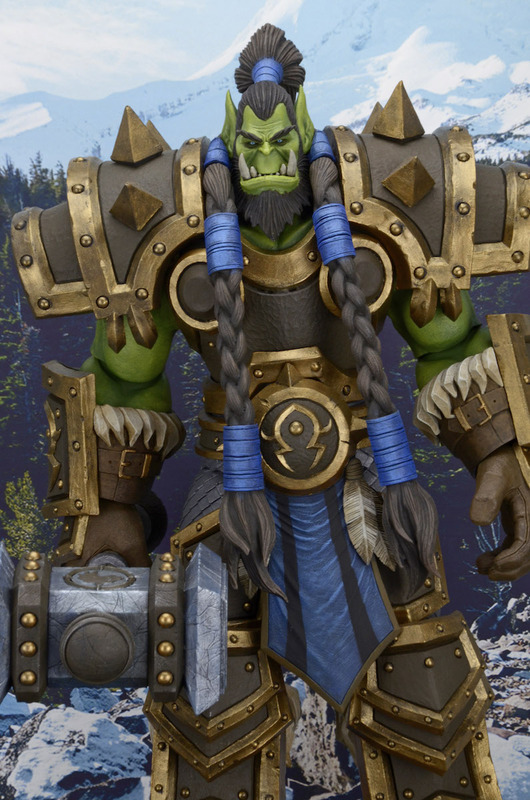 Quite accurate to how he looks in HOTS. It'll be interesting to see how articulated he is though! That being said, what I'm really waiting for is Diablo!! Maybe we'll see him at SDCC? I think Murky & Brightwing are next, which should be interesting too. I'm loving this line and I'm not really that much of a Blizzard fan. He looks awesome, big and beefy. What about Sylvannas and Jim Raynor? Are those still in the works? Sad to see this line end so soon. I had great hopes for it. I'll be getting those 3, but I'm really bummed we'll never see the Diablo they showed the model for. I'm also a bit bummed out that this line is dead already, they have so many memorable characters in that game I'd love to see done in action figure form. But I'm aware it's not NECA's fault, Blizzard ended the relationship. I'm really disappointed this line is ending too. I might pick up some extra Raynors to repaint into ordinary marines. I wonder if there is any chance Blizzard Collectibles will do a DC Collectibles and release their own line of action figures? Wait, its ending ????!!! Nooooo!!! Well, at least I had Sylvanas and Raynor on pre-order. Hope they did a good job! That arm movements is likely going to be terrible.